Heartburn, gastric reflux, swelling … Who today does not know a person with these symptoms, Are digestive problems related to certain foods? Be careful not to confuse intolerance with allergy, here are some explanations to help clarify this. Food allergies occur when the body produces IgE antibodies in response to a food. These antibodies are naturally produced by your body as a defense, a shield. 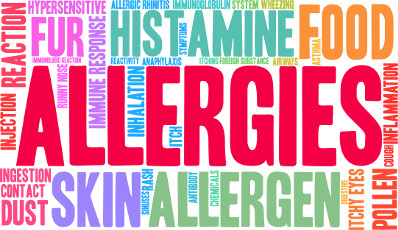 The extreme of an allergic reaction can result in anaphylactic shock that can be fatal. More generally, the reaction occurs immediately and can lead to symptoms such as diarrhea, swelling, hives, itching. Although IgE reactions are immediate, the allergic potential of food allergens may remain in your system 1-2 days after ingestion, prolonging the symptoms for this duration. There are eight major allergens; in almost all countries the legislation requires that their presence in processed food be noted on the package, these are: peanuts, nuts, cow’s milk, eggs, fish, seafood, soy and wheat. Today, some experimental studies show that these allergies can be desensitized, but it is a long (several years) slow process that must be performed under strict medical control. Food sensitivities occur at a different level of the immune system, they can be analyzed by looking for IgA, IgG, IgM or T cells. 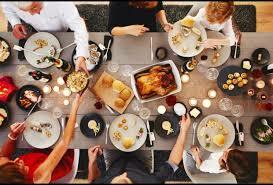 People with food intolerances may have diarrhea, stomach pain (stomach, intestine …), headaches, moments of great fatigue when the immune system works to fight against these intolerances … These symptoms are sometimes felt quickly after eating the poorly digested food, sometimes 3 or 4 days later. Here are different antibodies, different from those allergies that have a different immune response. Food intolerances are the main cause of digestive distress and are often associated with a term widely relayed as leaky gut. There are foods known to cause these intolerances: gluten, dairy products, eggs, soy, corn, peanuts, tomatoes, potatoes, eggplants, pods, chips and Goji berries, nuts, seeds, chocolate, beef, coffee, sugar and bananas. For allergies, IgG4, which is a subclass of IgG, is an antibody that is distinct from the immune system. These antibodies can act as a blocking agent during an IgE reaction. More scientifically, when the IgG4 reaction is greater than the IgE reaction for a particular antigen, IgG4s prevent IgE antibodies from binding to the receptor sites and release histamine, thus reducing the severity of the symptoms associated with the IgE reaction. . This is called the blocking potential. Not yet convinced? C3d is a complement antigen and an activator of our complement cascade system. The reaction to the specified food will worsen if C3d activation is present with an IgG antibody response. The C3 protein binds to the antigen and amplifies the IgG response, increasing the inflammatory potential of the IgG titer. If you do these tests, make sure to cover all the anti-bodies at the risk of depriving yourself unnecessarily! Allergies and intolerances, Mith or reality? For 30 years, science has really evolved in the medical field and some tests either did not exist, were practiced as a hospital center following violent allergies that can be fatal in case of recidivism. As for intolerance, the “common sense peasant” was appropriate; stomach ache after eating Brie, we stopped eating Brie. Today, we are exposed to different types of food, fruits and vegetables from around the world, pesticides we know to be dangerous whose effects are unknown, our immune system is more exposed to changes. Intolerances are one of the responses of our body. Let us help you with this so that you can resume a normal diet! Dr. Susan Jamieson Integrative Medical Practice will provide you with comprehensive tests that will help you understand exactly how your body works.If treatment is needed, receive assistance from Dr. Jamieson, GP and Sara Jefferson, Naturopath, solutions that are sustainable and achievable on a daily basis.